Here we are back again with another installment of… Rummage Treasures! 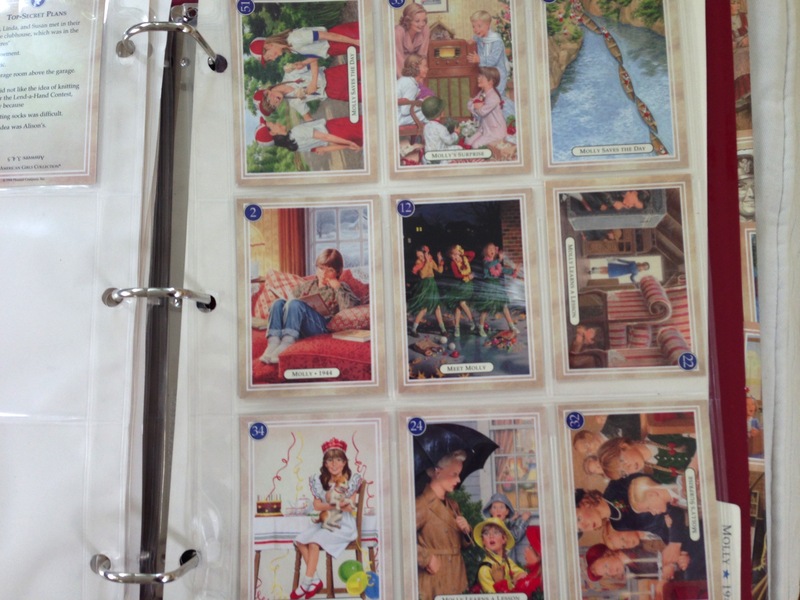 This is a ring binder for American Girl Trading Cards from the Pleasant Company era. It has a shiny coating to keep it from falling apart. We got this at the same rummage where we got Lindsey’s fancy photograph. Inside the binder are tabs for Samantha, Addy, Kirsten, Felicity and Molly. We have about 10 trading cards for each girl. Each card features the original PC artwork and the backside has a fact or quiz about the character. Here is Kirsten and Renee Graef’s beautiful artwork. We got all of the items at this rummage for about $3.00 – it was the end of the day and these treasures were buried in heaps of books. They were just thrilled the items were going home with someone who would appreciate them. 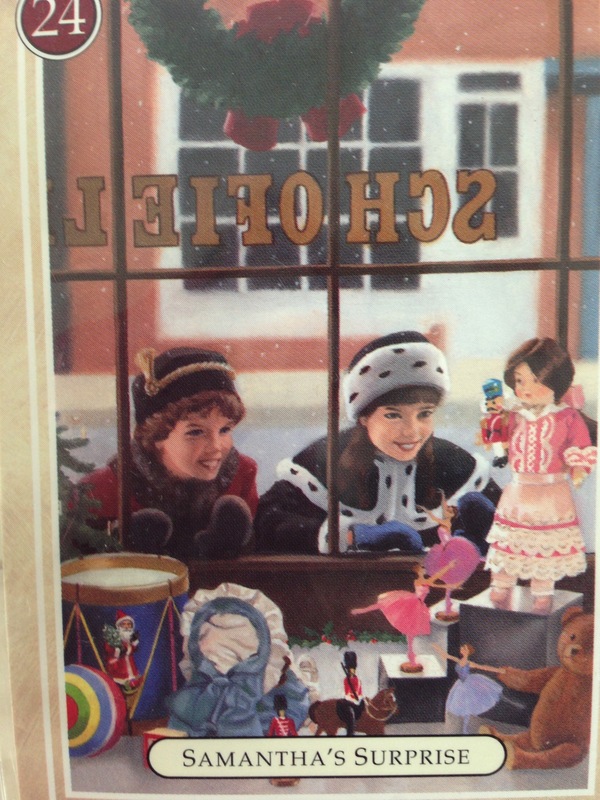 This entry was posted in Pleasant Company, Rummage Treasures and tagged American Girl, Rummage sales on August 12, 2015 by Jen. Another cool find–I want to go to yard sales with you! Wish you could! As Brianna mentioned earlier, we have the best luck with rummages with older girls. If they are selling clothes from places like Hollister or Abercrombie, you’ve got teen girls on your hands! Thank you! We made a point this summer to leave some Friday’s open for rummaging. Come fall, well, we will have to try and motivate to get up early which is tougher when it’s back to school and work! Wow, what a great find! 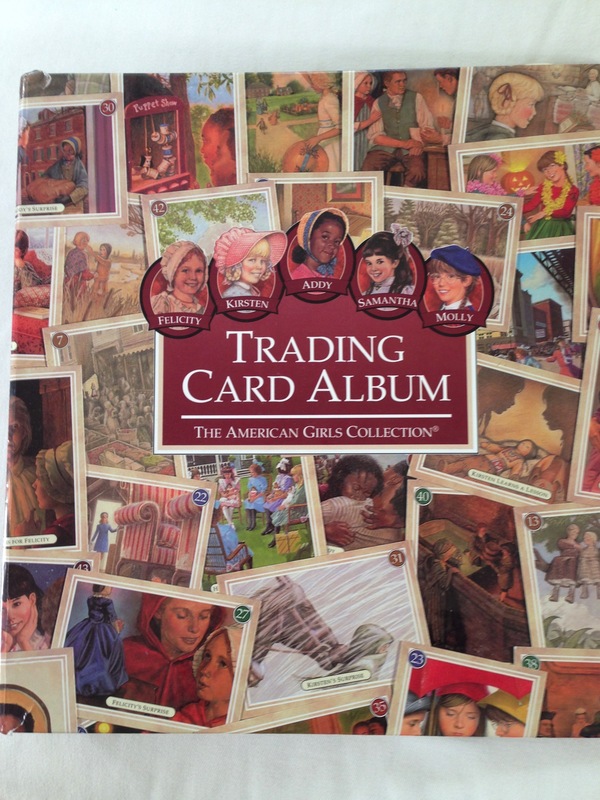 😀 The American Girl Trading Cards look so cool and the artwork is beautiful. Congrats on your find! Thank you! It’s fun to hunt for treasures! The trading cards are beautiful. I really enjoyed reading the back of the one card you feature. How cool is THAT?! 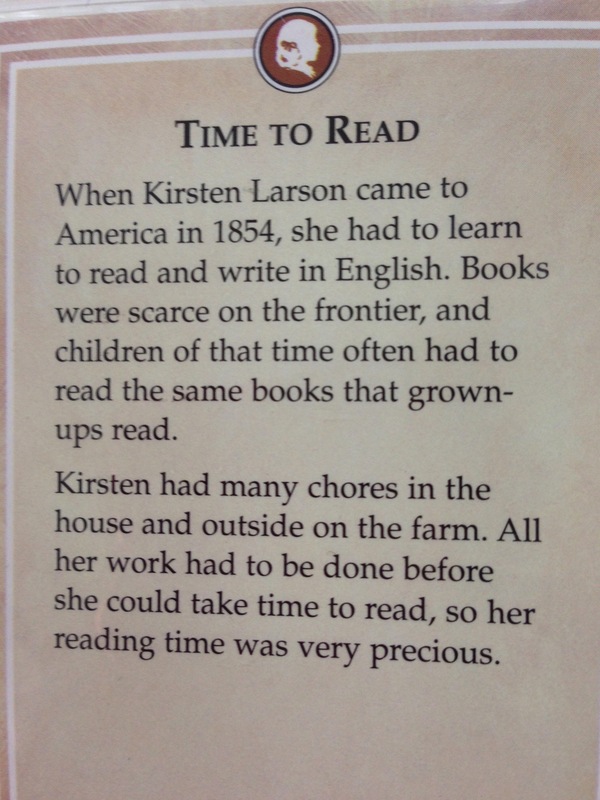 A snippet of history as one enjoys the beautiful art work…and get to know one of the American Girl dolls. Thank you for sharing this wonderful rummage find. Thanks Leslie! 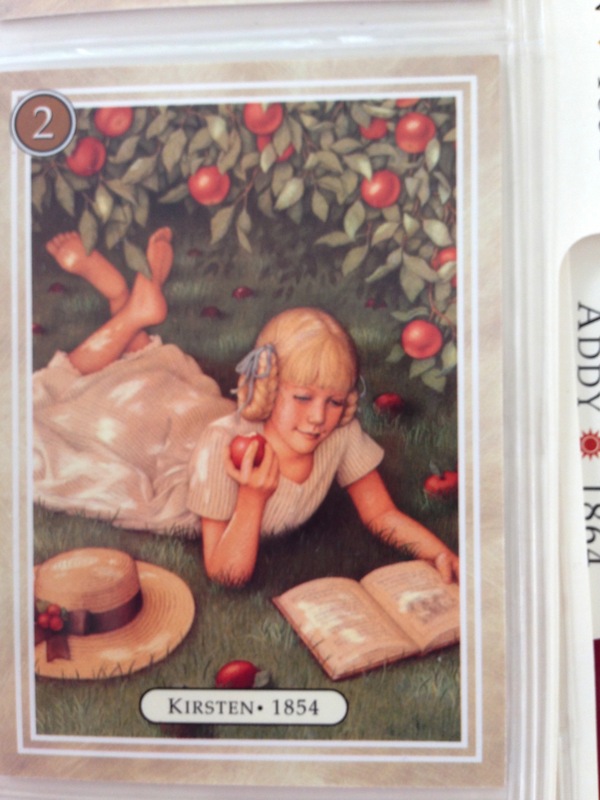 American Girl has dropped all of the artwork in the books, so we are thrilled to have these little works of art that are no longer in the books. That is a shame 😦 For those of us that are visual people the background story of the dolls would make it more real with a beautiful art piece to make any girl imagine her life as the doll. I am really enjoying your blog posts on this topic. What a great find. Beautiful artwork…thanks for sharing!